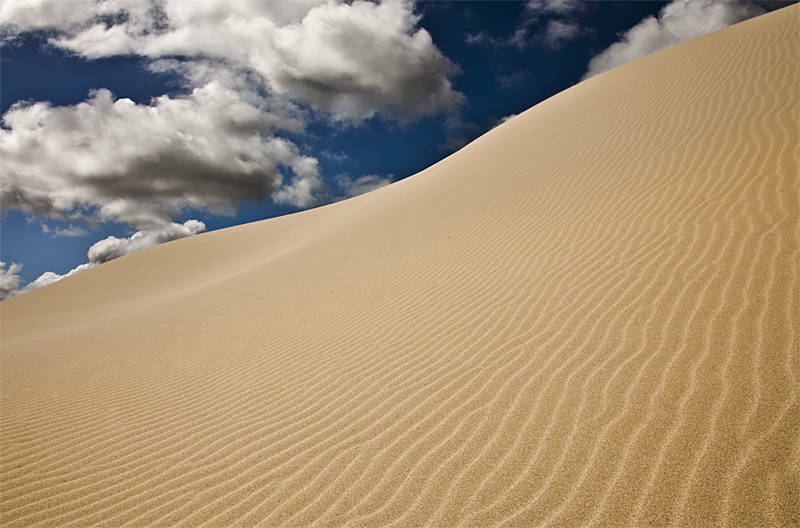 These are the Eucla Dunes in the deserts of Western Australia, 7 miles from the South Australian border. They are made of limestone sand rather than silica having originated on the sea bed. Eucla is believed to originate from the Aboriginal word “Yinculyer” referring to the planet Venus. It was the transit of Venus over the sun which summoned the English explorer James Cook into the southern oceans in 1769. This ultimately changed the fate of Australia and Eucla. In 1890 an introduced rabbit plague decimated the native vegetation around Eucla. This destabilized the dune system. The shifting sands engulfed the town until it was abandoned and moved 3 miles to the North.